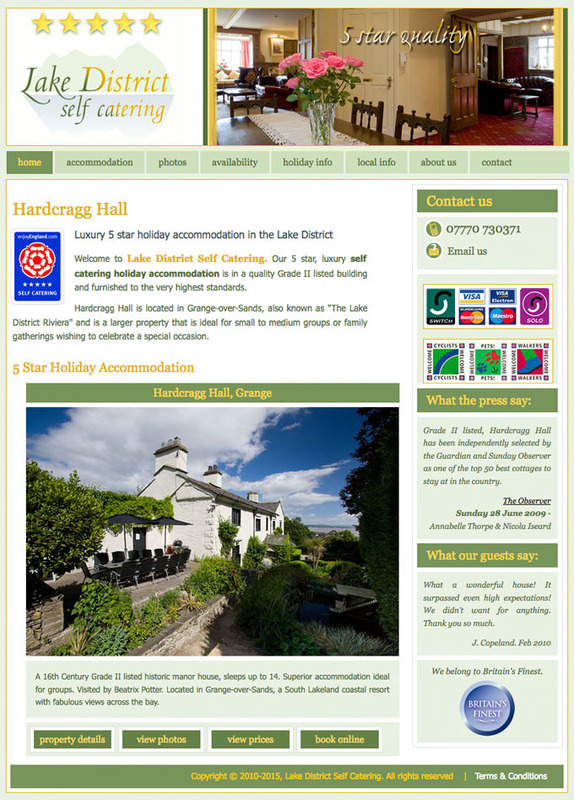 5 star self catering holiday accommodation in the Lake District providing group accommodation in superior Grade II listed homes. Initially we worked on the logo design and agreed a colour scheme with the client, which we used to create the design visuals in Photoshop. We gathered a lot of material together for a tourist information section of the site and made good use of the excellent photos supplied from a professional photographer in some stunning image galleries. We also added a Wordpress blog to the site and did a good amount of backlink building.